FULL -Line Dancing Classes Mondays at 1:30, starting September 10th, 2018. UPDATE - September 5, 2018 ... we now have 34 folks registered so the class is now full! Do you like line dancing? Or are you interested in learning? 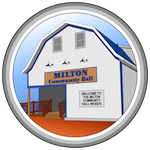 Line Dancing Classes at the Milton Community Hall are starting again September 10th at 1:30p.m. Classes with Margot Postma will continue weekly. Cost for the 8 week session is $20 or you can drop-in for $3/class. Please bring indoor shoes. To register, please contact admin@miltonvalepark.com or (902)368-3090.